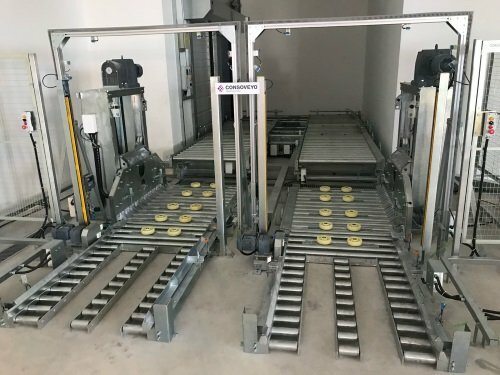 Consoveyo Singapore (Consoveyo), part of Germany-based Körber Logistics Systems, has implemented a new turnkey interfloor conveyor system at JTC Food [email protected], for JTC Corporation (JTC) in Singapore. Since its inception in 1968, JTC spearheads the planning, promotion and development of a dynamic industrial landscape. Opened in July 31, 2018, the purpose-built food facility, JTC Food [email protected], is designed to help food companies reduce capital and operating costs through shared facilities and services. The seven-storey facility for the food manufacturing industry is developed by JTC in close collaboration with the Singapore Food Manufacturers’ Association (SFMA), and Singapore Manufacturing Federation (SMF). A key feature is an integrated cold room and warehouse facility (CWF) that tenants can tap on a pay-per-use basis, instead of committing capital and operating expenditure to build and operate their own CWF. The shared CWF is operated by StorBest @ Senoko Pte Ltd, which also offers distribution services that tenants can tap on instead of investing and maintaining their own delivery fleets. The facility also offers its tenants a range of material handling equipment to vertically transport goods. The equipment include cargo lifts and a pallet conveyor system linked to pallet lifts for automatic transfers of raw or ready-to-eat products between floors to improve operational efficiency. Within the Food Hub, Consoveyo supplied and installed a comprehensive Conveying System with 10 automated pallet lifters, each 42 m tall. He added that it was also a larger scaled project the company has taken, compared to similar systems installed in food and beverage manufacturing and pharmaceutical distribution companies located in the Asia Pacific. Space is a scarce resource in Singapore, which Consoveyo has acknowledged from the start. “One of the main challenges we had to grapple with was space limitations. Our team had to make sure that the system provides the functionality and flexibility required for the tenants’ daily operations while working within an already specified, tight footprint,” he recalls. 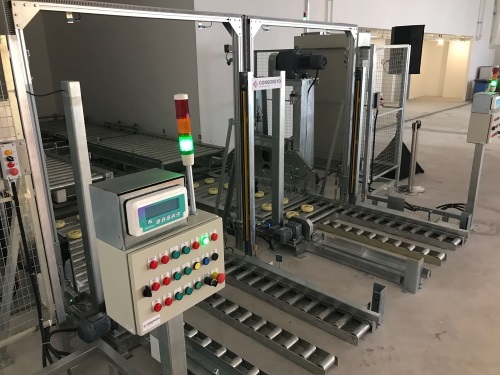 Using the Conveying System, tenants can vertically transport goods, such as raw and ready-to-eat products, among their factory units and the shared CWF on the first floor effortlessly, quickly and with little manual labor. 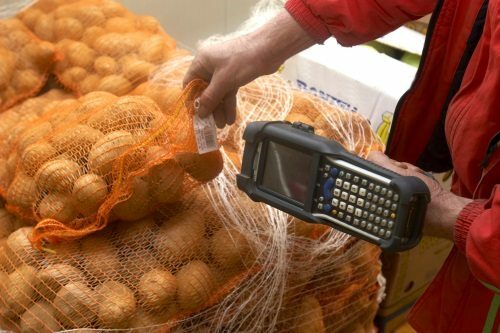 “The system can also effectively mitigate food-related challenges like food safety, product traceability, and low hygiene standards,” says Lorentzen. Having the need for less manual labor also meant that workplace safety is safeguarded. Understanding the needs of JTC and its tenants meant holding series of discussions, brainstorming ideas, refining of proposals and testing of ideas. Of the project requirements, automated transportation of goods among the units is needed for the intelligent facility. “The main requirement JTC had for the system was that it had to support the transportation of palletized goods between the 59 factory units, and the shared cold room and warehouse facility (CWF) on the first floor,” Lorentzen tells Food News International. Besides offering efficiency for the smooth running of the facility, minimizing the risk of fire and ensuring safety of goods and humans are equally important in the scope of project. “Much like every other plant and facility, the JTC Food Hub has safety systems in place,” says Lorentzen. “If any of the heat detectors are activated, the building management team will be alerted immediately,” says Lorentzen. Just how intuitive is the system on ensuring safety? “Our equipment meets industrial safety standards, with features such as safety fencing and visual indicators, which provide building managers with information on the system’s operational status,” says Lorentzen.